Sport is good for your health, nobody can deny it. Doing sports not only helps to keep the body in good physical health but also brings benefits to our mental health. However, when people play sports on a professional level they are exposed to an extra risk – the risk of injury. Are you a serious athlete? If we asked you how many times you’ve been injured what would your answer be? You´re probably not sure, as serious athletes who train every day are more vulnerable to injury. Each sport is different. Swimming, football, basketball, tennis, volleyball… Each one demands specific training. Whichever kind of sport you do, you must know that the warm-up is very important, and more importantly, the way that you do it. Most athletes are focused on improving their performance, sometimes the wrong choice of training causes the injury. The way that you warm up is essential to minimize the risk of injury during the game and your training. This prevention should be essential to keep you healthy and reduce your risk of injury. Most athletic disciplines have common injuries related to training or competitions. Sometimes the sportspeople feel light symptoms such as sore or tight muscles and ligaments and they don’t pay attention to them because they think the problem is temporary. They believe that the symptom will disappear while they train. But the truth is, if athletes don’t take care of them at the right moment, those symptoms could become a serious problem and even ruin their professional career. 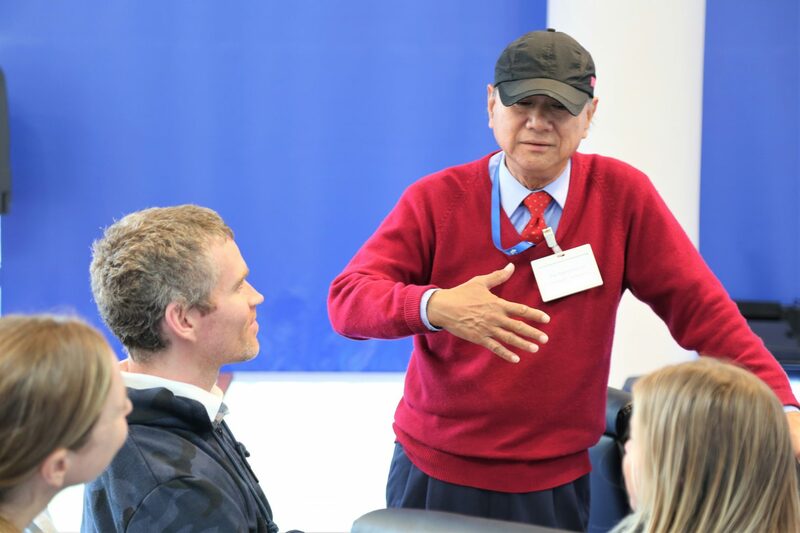 Recently, our school hosted a special visit from Professor Raymond Lee, who gave us a master class on sports injuries and rehabilitation and how we can implement techniques to avoid them. Professor Lee is a renowned expert in Sports Medicine. He graduated from Sports Physiotherapy Department of University of Bath (UK); received a Master’s Degree from the Chinese University of Hong Kong, and received his Ph.D. from Queensland University of Technology in Australia. Currently, he is a lecturer in physical therapy at the Hong Kong Polytechnic University. Professor Lee specializes in isokinetic research, especially in the rehabilitation of knee and ligament lacerations. Since the preparation stage of the 2008 Beijing Olympic Games, he has been engaged by the National Administration of Sports as a rehabilitation expert. He provided rehabilitation treatment for Olympic champions Liu Xiang and Zhao Hongbo among others and is instrumental in helping them regain their championship form. As Professor Lee explained to us, most sports injuries happen during competition, physical training, and skill drills. He stressed the importance of developing the full range of physical abilities like muscular endurance, coordination, balance, and flexibility to avoid the injuries. He also explained the difference between what it means to get injured when you do sports as a hobby and when are a professional athlete. Professional athletes have a deadline to meet, they have a much higher risk to take, they have to be very efficient, and they have to know the sport very well. For all of the above reasons, preventing the risk of injury is essential for them. How can we prevent sports injuries? DeltaHealth Hospital and RainbowFish Rehabilitation have created an injury prevention program to minimize the risk of getting an injury, whether you are in pursuit of a fitness goal or you are preparing to get back to doing sport after a while. DelthaHealth offers tests and analysis to help you design the “perfect exercise plan” to achieve your goals. They provide The Y-Balanced Test, which is used to measure dynamic balance that is very helpful in identifying the risk of injury in some parts of the body when starting a new activity or a new sport. They also provide other tests such as Functional Movement Screen, Accurate 3D Plantar Scanning or Functional Hopping Test. 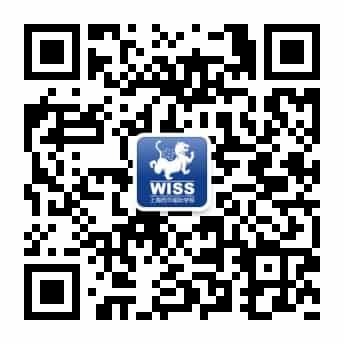 WISS is the first and the only full continuum IB World School in mainland China offering all four of the IB Programmes. We offer our students the International Baccalaureate Career-Related Programme (CP) in which CP students engage with a rigorous program of study that genuinely interests them while gaining transferable and lifelong skills. 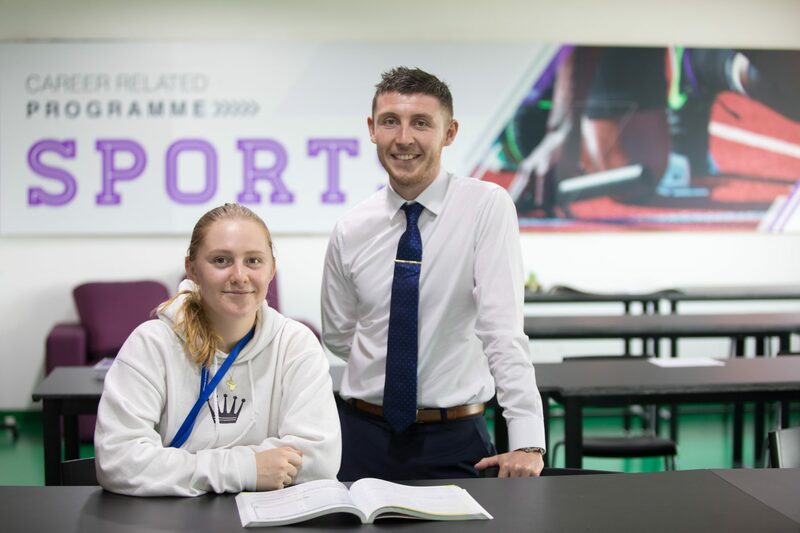 In partnership with Rainbow Fish Rehabilitation, WISS students who choose the CP Sports Programme will work alongside sports medicine professionals in the sports rehabilitation field. Students will have the opportunity to learn from physiotherapists, sports psychologists, nutritionists, and other medical professionals.